Does she or doesn’t she love them? My daughter is 15 months old in this picture. 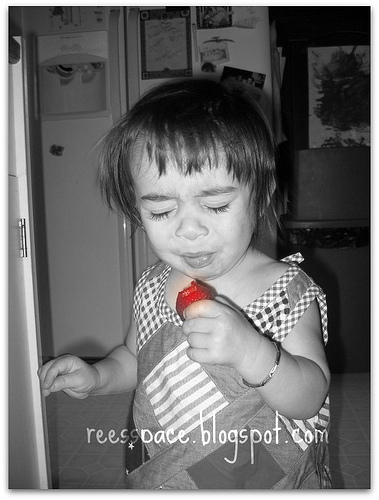 She still loves strawberries and still makes the same face.